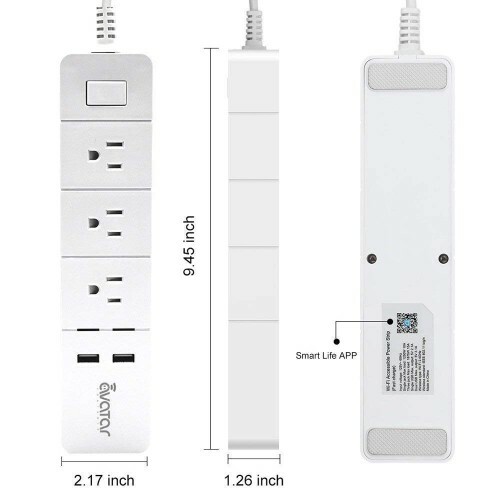 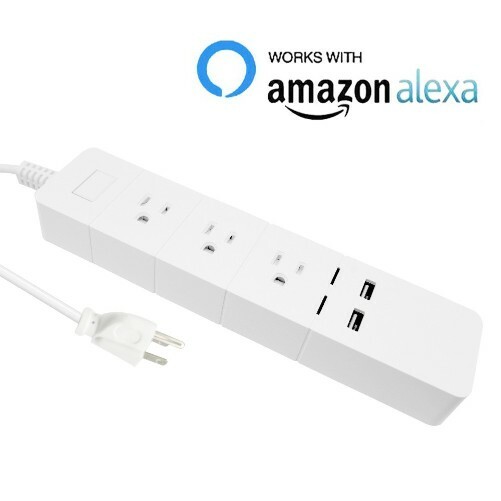 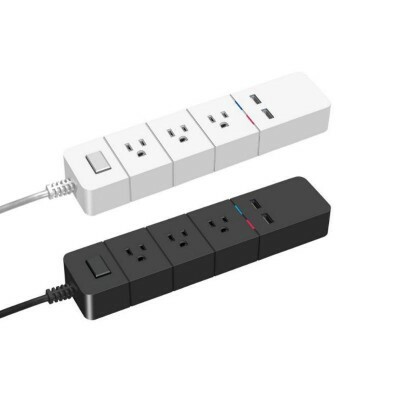 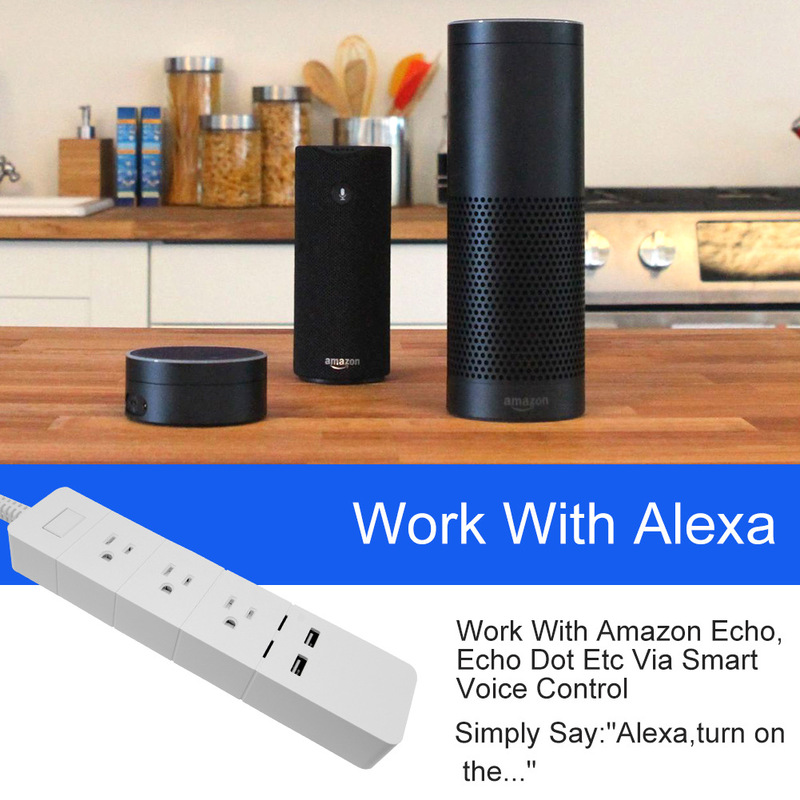 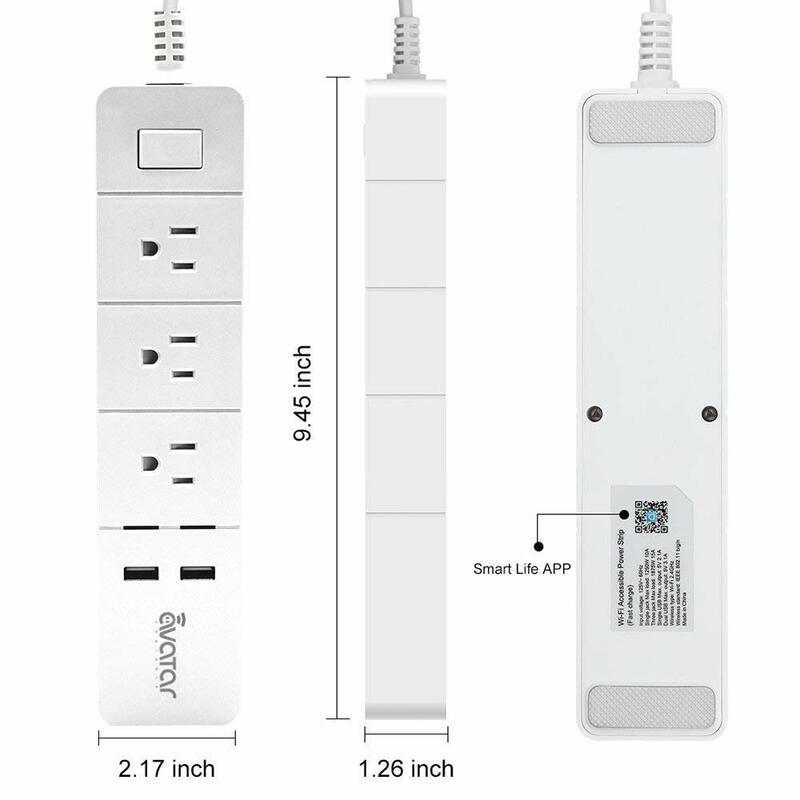 · 【Compatible with Google Assistant/Alexa】Compatible with Google Home/Amazon Alexa Echo/dot/tap, support voice control after connecting successfully, instantly turn on/off your home appliances by simple words,such as “Alexa, turn off smart power strip. 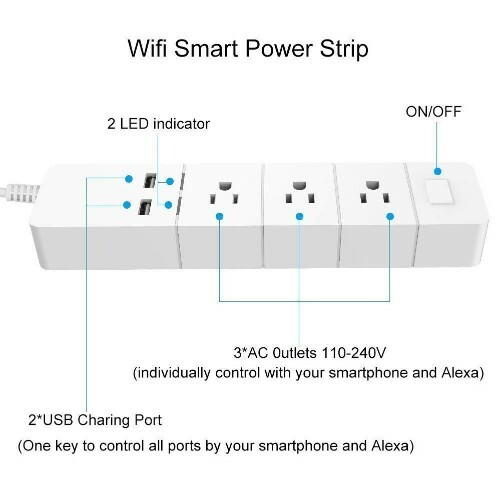 · 【Timing Schedule】Support both ios &android smartphone control by free app, timing function is perfect for home appliances, you can schedule this smart power strip to turn on/off at specific time as you need, good solution for overcharge and extend the lifetime of your device. 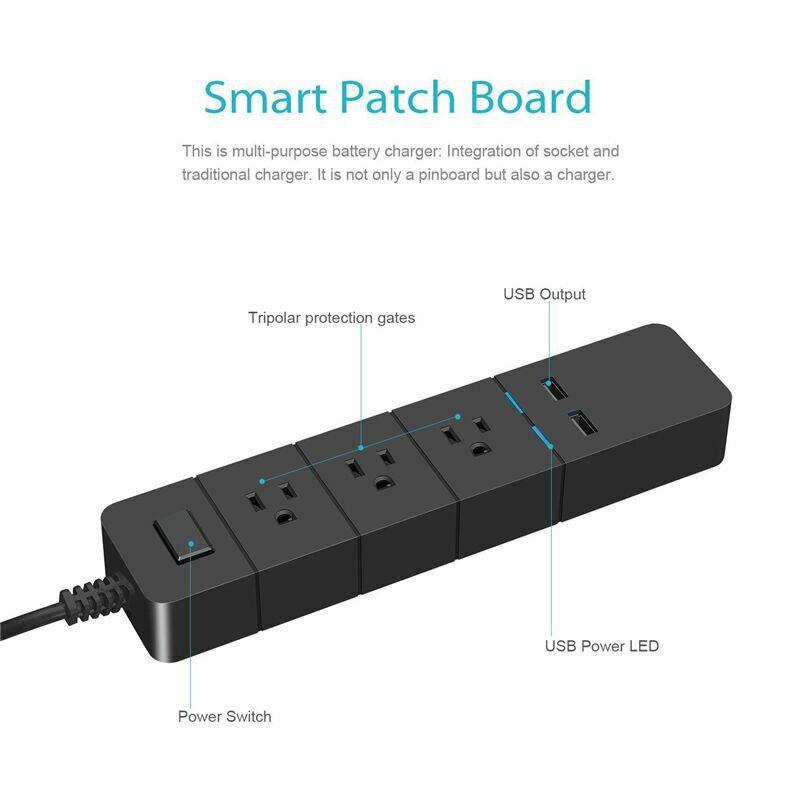 · 【All Ports Controlled Independently】3 Surge-protected AC outlets MAX to power output of 1800W,equipped with 2 USB charging ports, Intelligently charging your smart devices. 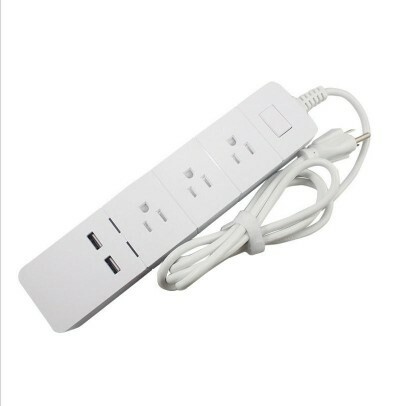 Perfect Smart power strip for home and office, meet all your need of charging and the electricals. 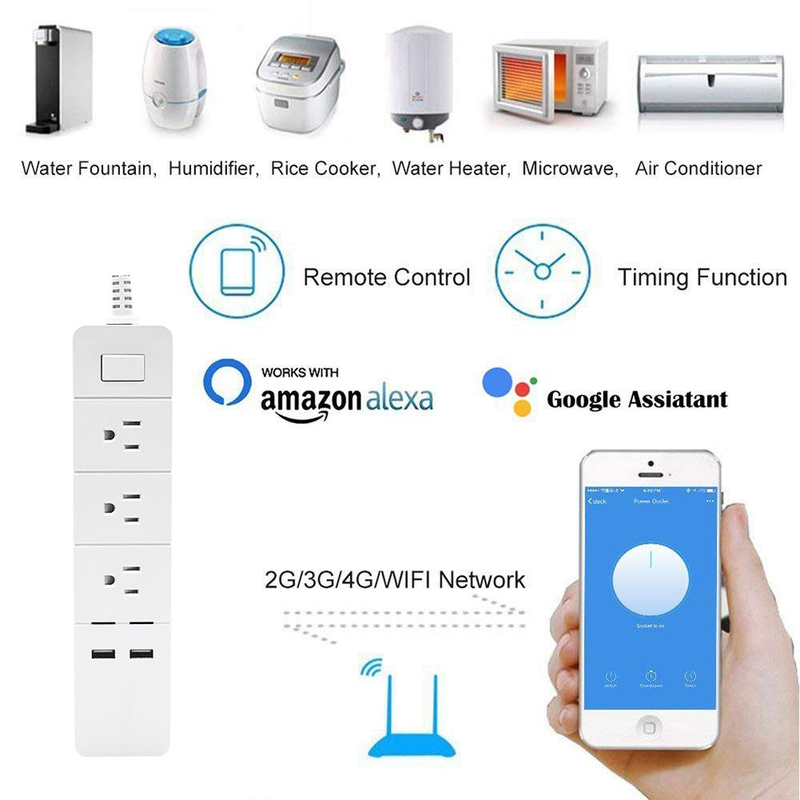 · 【Energy Saving & Safety】Remote control to turn on/off all home electrical equipment with Security via free app anytime anywhere, protect the connected equipment from overcharging or damage, save energy & electrical bills. 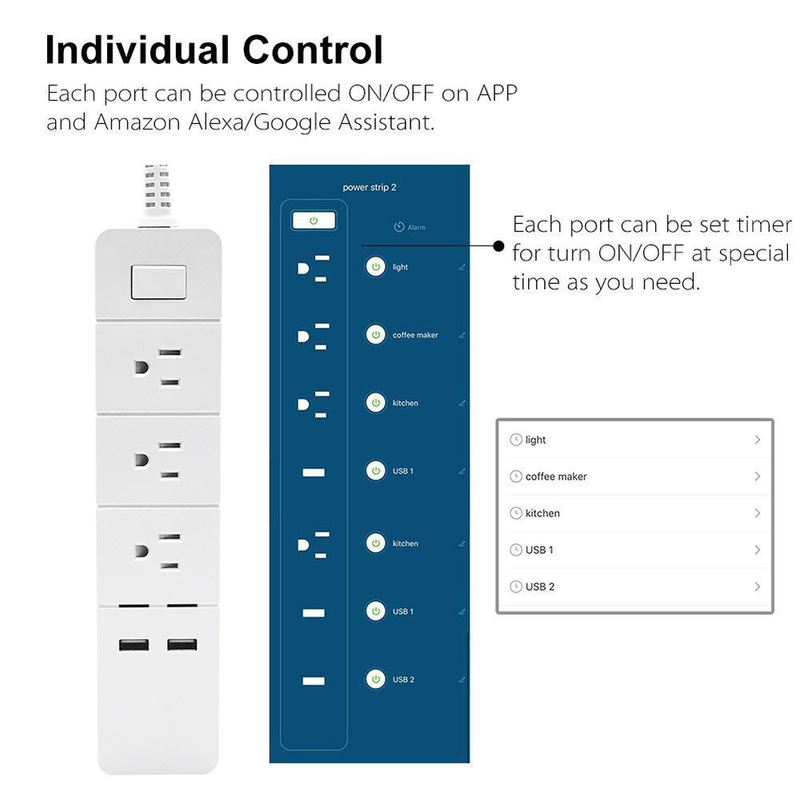 · 【Easy Setup & Free App 】Download Free APP on smart Android or ios device and pair with Amazon Alexa using on Apple store/Android Market/ Google Play. 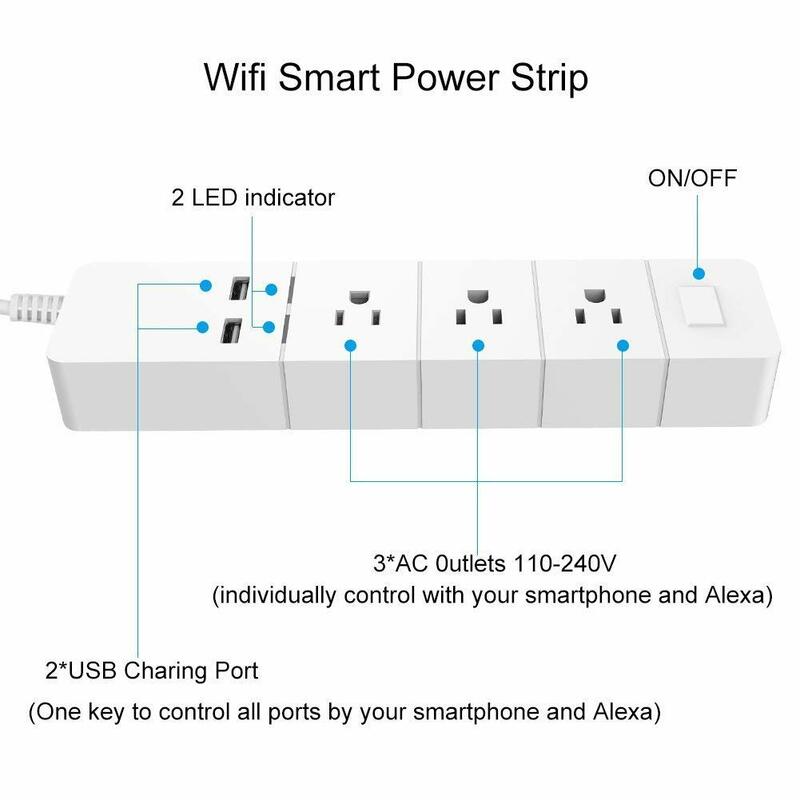 Easy setup &use, support 2.4GHz Wi-Fi network, not support 5.0GHz.